Hawksbill is a unique and special Caribbean hideaway that you won’t want to leave. 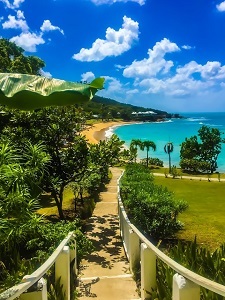 Set in 37 acres of landscaped tropical gardens, the resort offers its guests a choice of four secluded beaches, including Antigua’s only ‘clothing optional’ beach. So if you love the beach, Hawksbill is the perfect place for you. The resort offers a wide range of accommodation choices, including detached cottages set amongst the palms, or looking out across the sea. For larger parties, the colonial-style Great House on the tip of the Hawksbill peninsula, is a private suite with its own kitchen-bar, three bedrooms and panoramic sea views. During the day, there are a wide variety of activities to enjoy, either on the beaches or around the pool, as well as tennis. Whilst in the evening, Hawksbill has a wide choice of activities. The Tamarind Tree is a simple yet elegant outdoor restaurant serving a local and international buffet-style menu. 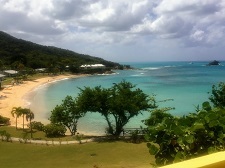 Sea Grape Restaurant, this open restaurant sits on the Sea Grape beach, next to the water sports and pool deck area. This restaurant serves international cuisine and provides buffet service. The Sea Grape Restaurant also provides afternoon tea and hosts dinner on Wednesday nights, where we have a Beach Bonfire and BBQ. Evening entertainment, scheduled for certain nights of the week, is authentically Antiguan and located in the friendly and informal Tamarind Bar, with its panoramic views of the sea. Hawksbill is an all-inclusive only resort. Take the opportunity to experience Hawksbill by Rex Resorts for yourself with a day pass. With four separate beaches enveloping 37 acres of tropical grounds, Hawksbill is a destination in itself. For an extra special honeymoon for two, stay in one of the resort's intimate cottages right on the beach, and invite your guests to stay at the Great House, a three-bedroomed self-contained suite with panoramic views of the beautiful Caribbean coast. Imagine holding your next company conference or incentives programme in the surroundings of the beautiful Caribbean, next to glorious white sandy beaches and the warm turquoise sea. Hawksbill is the perfect quiet retreat for your meetings and small conferences. 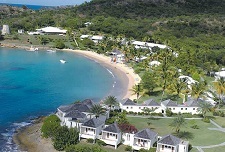 Hawksbill has plenty of room for events and dinner parties and is perfect for outdoor entertainment and BBQs. For relaxation after a day's meeting visit the Wellness Cottage or freshwater pool. Visit our website to view details of the Hawksbill meeting facilities and meeting room floor plan.